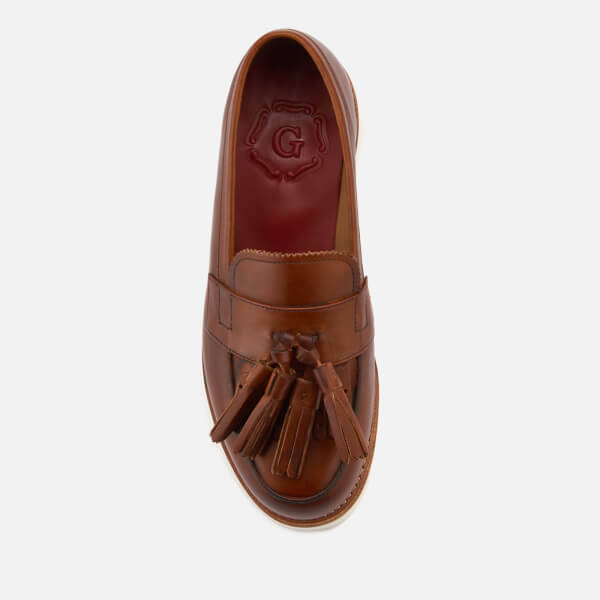 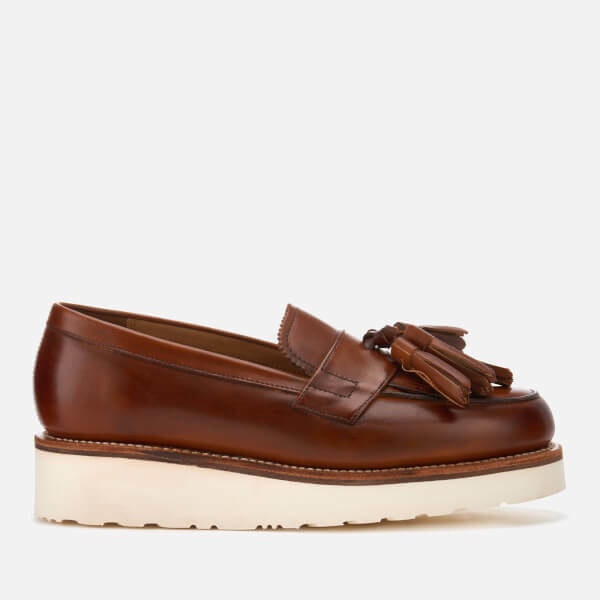 Women's suede tasselled loafers from Grenson. 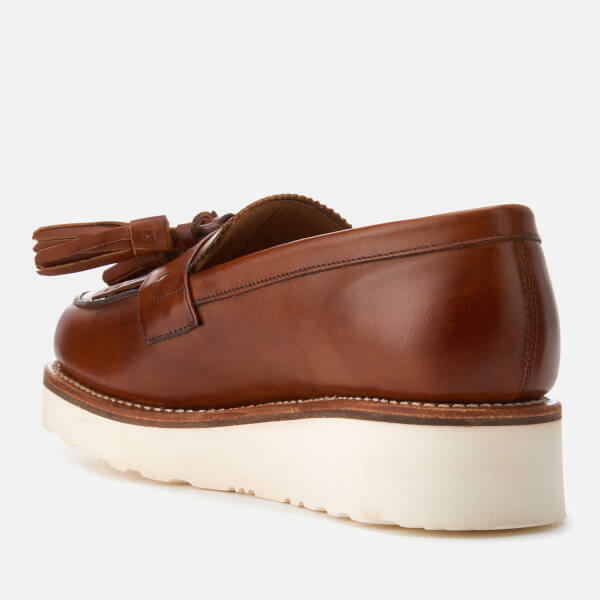 The 'Clara' slip-on shoe combines traditional elements of a loafer with a contemporary edge. 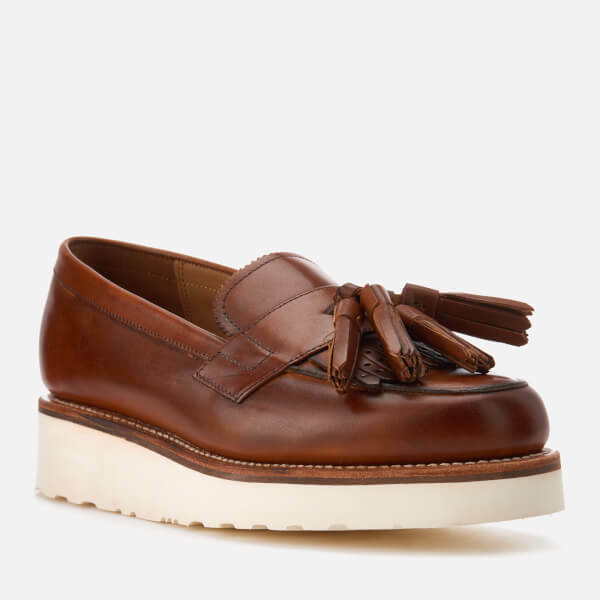 The upper is crafted from tan leather and features a classic kiltie fringe with a saddle and tassles stitched on the vamp. 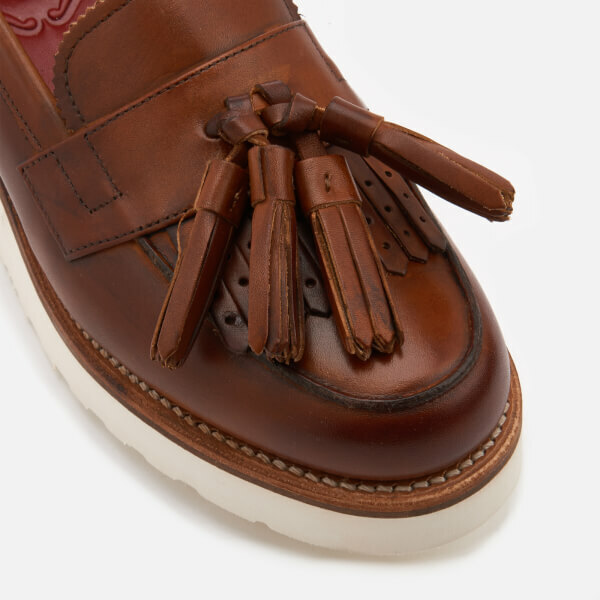 The rounded toe is outlined with a reverse seam and tonal stitching across the shoe details the design. 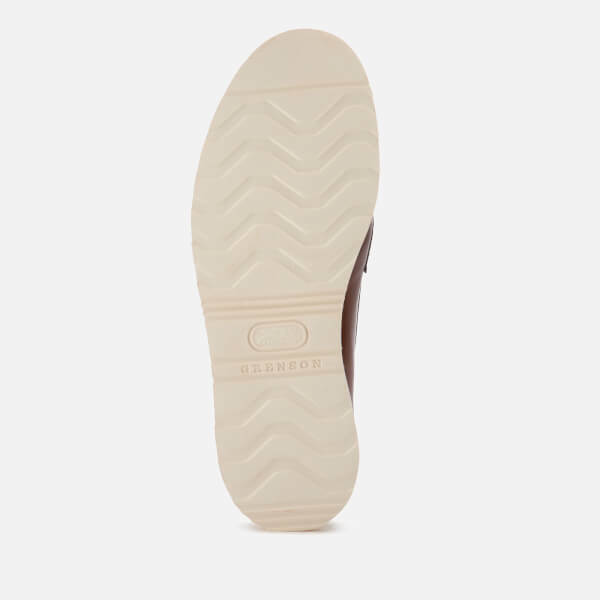 Set upon a natural, stitched welt and a thick yet lightweight white wedge sole made from rubber.